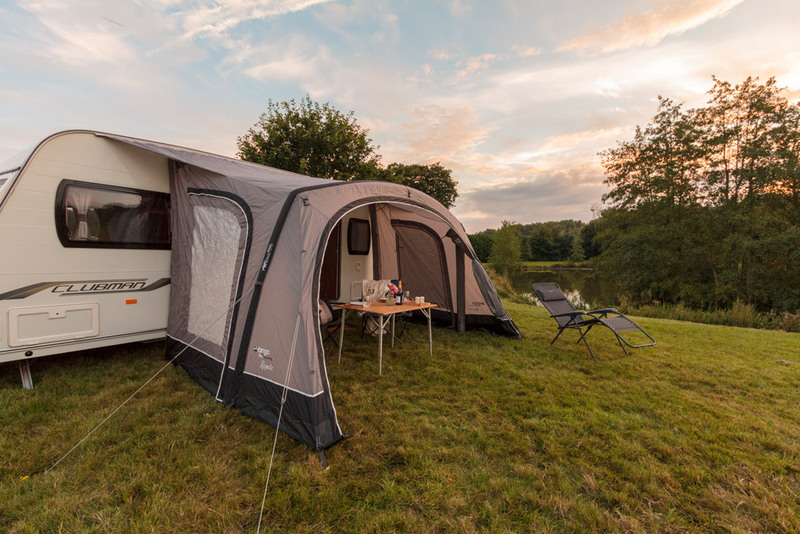 Our range of caravan awnings were first introduced to the Vango collection in 2014, and have been well received within the caravan market. 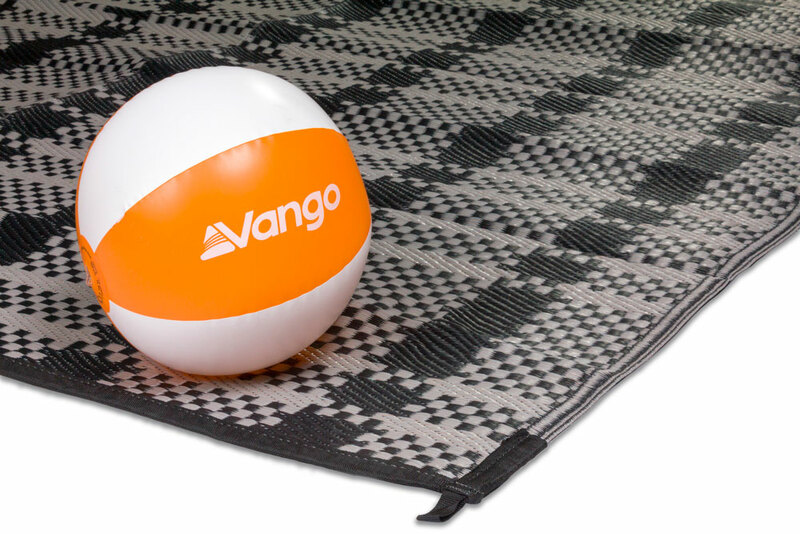 From our compact and contemporary models such as the Sonoma and the Braemar, to our spacious and luxurious collections including the Varkala and Kalari, we're sure our large range will accommodate you on your travels. 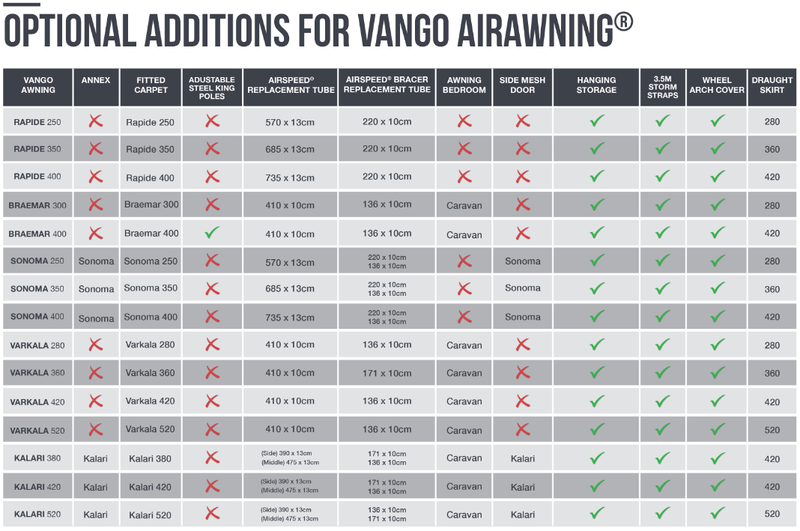 Whether you already own a Vango awnings or are thinking about purchasing for your upcoming caravan holidays, we have a large array of optional additions to make your caravanning experience even better! 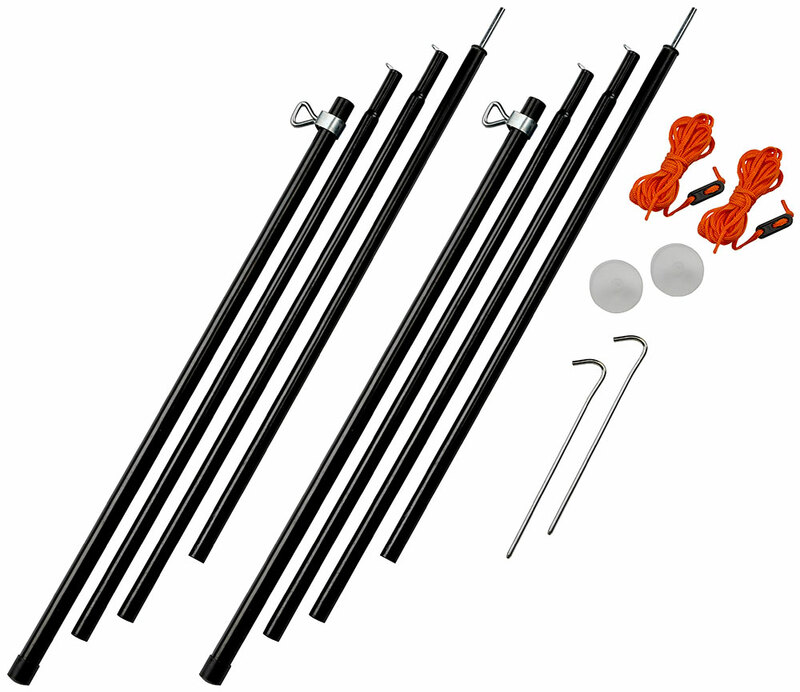 Easily expand your awning to create extra bedroom, or take full advantage of hanging storage solutions to keep your awning clean and tidy. Create an additional bedroom for extra guests or a storage room for luggage with the Annex. 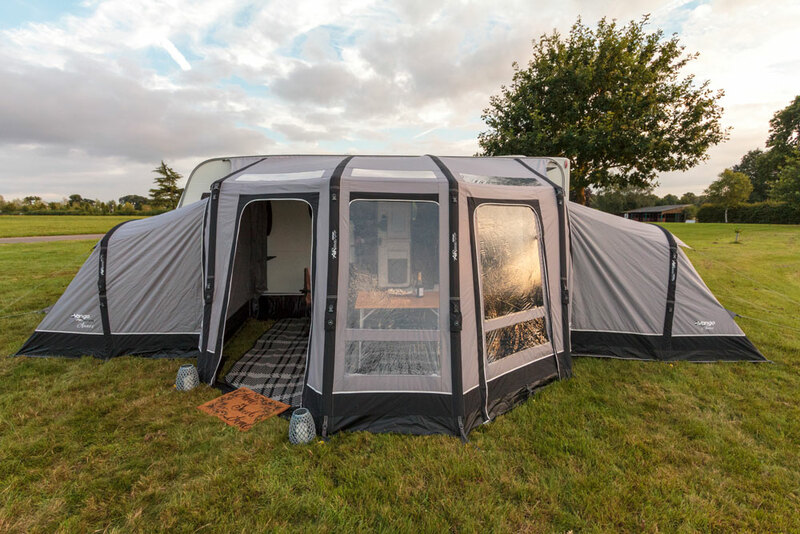 Ideal for larger families or groups of friends who need that extra space when away on your travels. 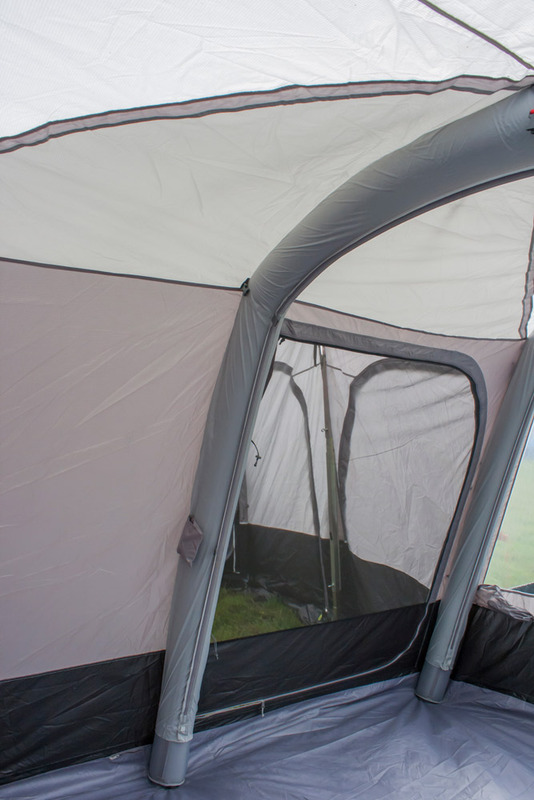 Keep the bugs out but the fresh air in with the side mesh door – an extra layer of mesh to accompany the door to improve ventilation throughout the awning. 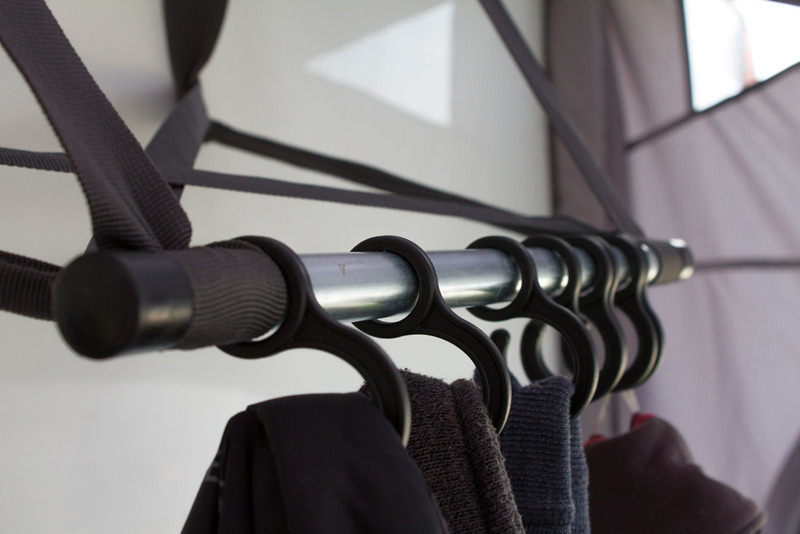 Ensure you aren’t congesting your awning floor with clothes, shoes and essentials with the hanging storage additions. 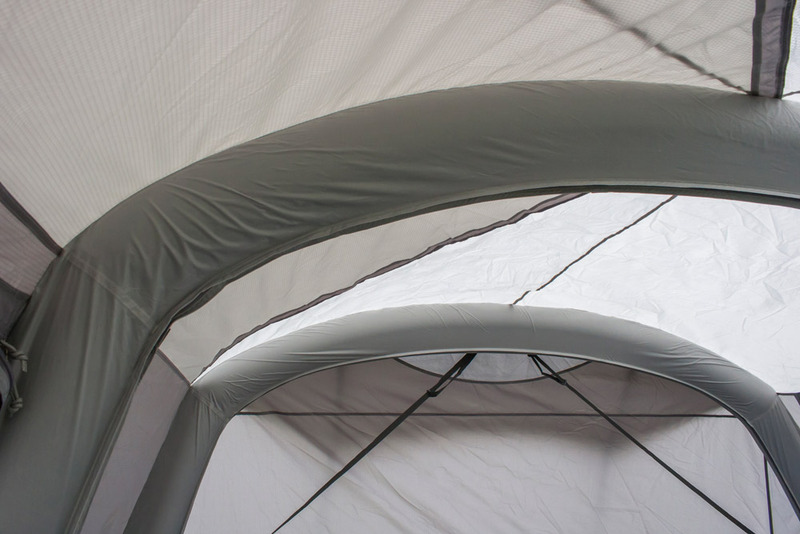 Transform the front door of your awning to create a handy sun or rain canopy, ensuring extra shelter from the weather elements. 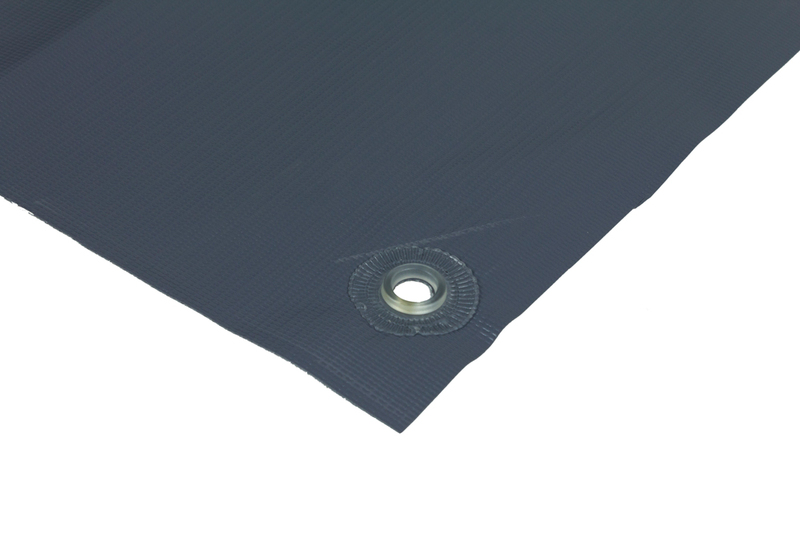 Replacement wheel arch covers are available for caravan awnings to eliminate the chance of draughts seeping in under the caravan, ensuring you stay warm and comfortable inside your awning on windy days. 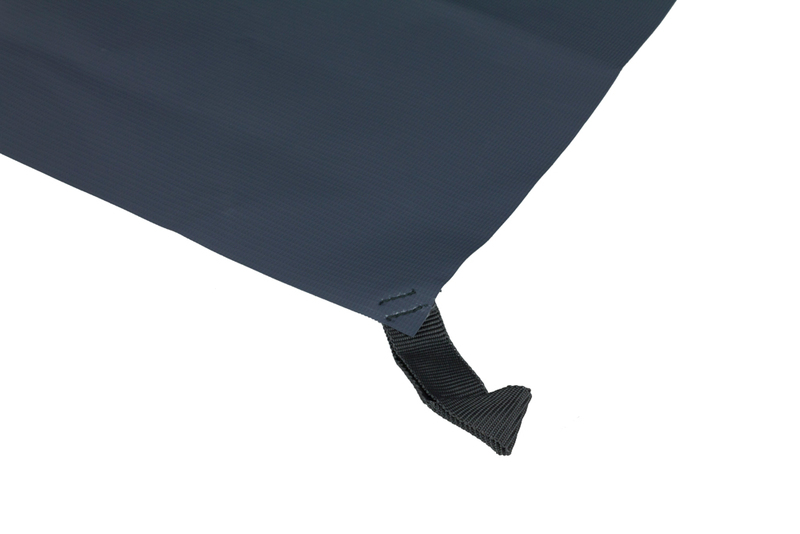 Just like the wheel arch cover, the draught skirt also provides a shield from the wind coming in under the caravan. 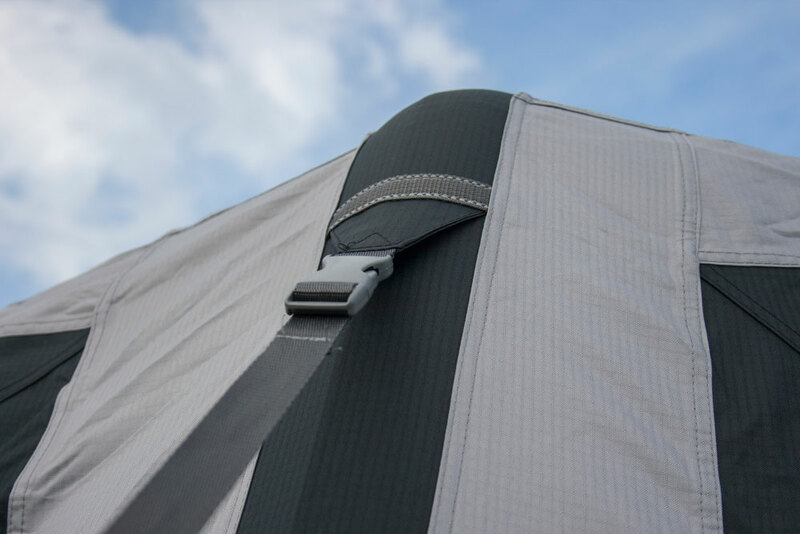 Easily fitted to the rail at the bottom of your caravan, the draught skirt ensures to cold breeze enters your awning. 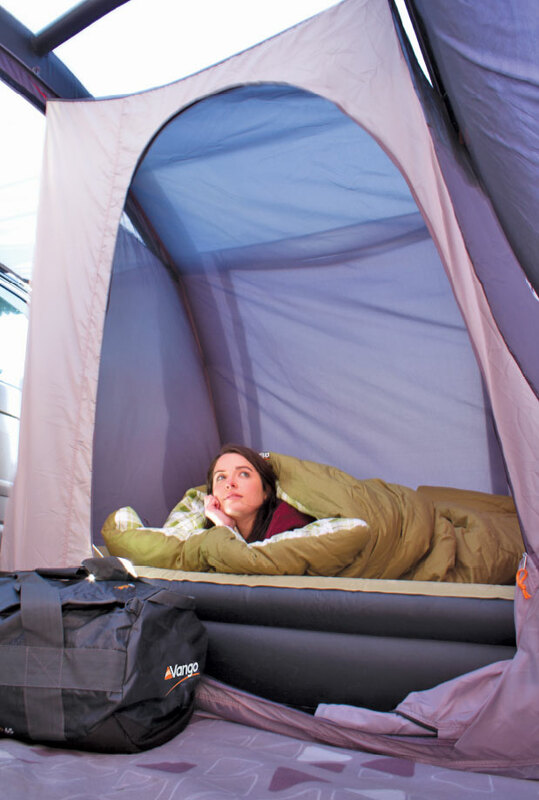 Find out what additions are compatible with your caravan awning!